All Hunt homes currently listed for sale in Hunt as of 04/22/2019 are shown below. You can change the search criteria at any time by pressing the 'Change Search' button below. If you have any questions or you would like more information about any Hunt homes for sale or other Hunt real estate, please contact us and one of our knowledgeable Hunt REALTORS® would be pleased to assist you. 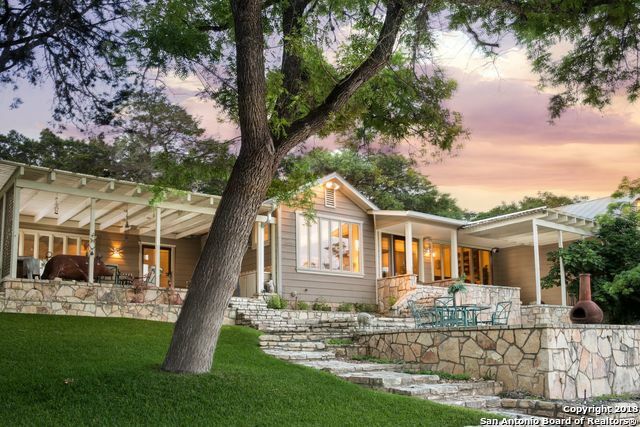 "This Breathtaking Property will Exceed all of your expectations of the perfect Hill Country Retreat/Family Compound! Main house(3369 sq. ft.) 3B & 3B+ Bunkroom & bath. Gourmet Kitchen, 2 Rock Fireplaces, numerous porches & patios for entertaining. Fabulous patio on the Guadalupe - 800' of flowing Guadalupe River comprised of both deep pools & live water., featuring an abundance of towering Bald Cypress Trees. 2B/2Ba Guest House (1216 SF.) overlooking the river +1B/1Ba apt/studio (1332 SF.) 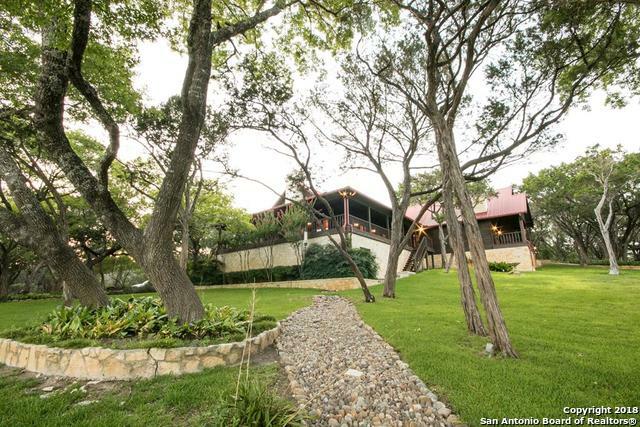 w a "
"Over 700' Guadalupe River frontage. Desirable location. Private Tuscan-inspired villa, sitting on 3.6 meticulously manicured acres on the banks of the cypress-lined river, ensure la bella vita. Walls of windows take full advantage of the natural beauty and light in this spectacular yet comfortable home and guest house. Dine al fresco in front of the cozy fireplace on the covered terrace, then meander down the picturesque split staircase to enjoy the tranquil sounds of the river below. 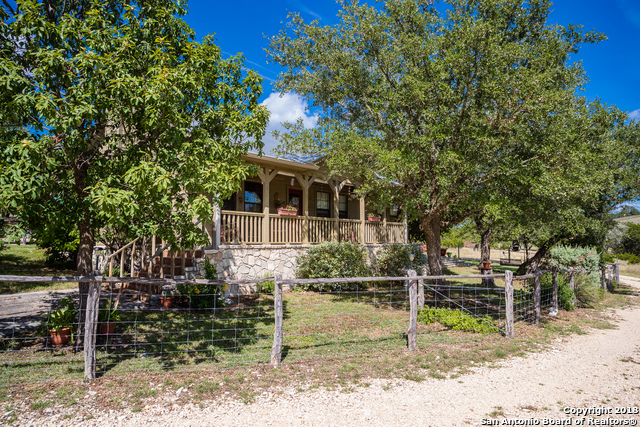 Rare oppor"
"An excellent hunting ranch located within the scenic hill country northwest of Hunt. There is 243 acres of the ranch encompassed by excellent quality high fencing that contains elk, axis, and a genetically enhanced whitetail deer population. Ranch is equipped w/two high fence pens for game management, overhead feed storage bin, durably constructed hay barn, game feeders, and your own private landing strip. A variety of free range exotic animals that travel through 35 acres low fence area." 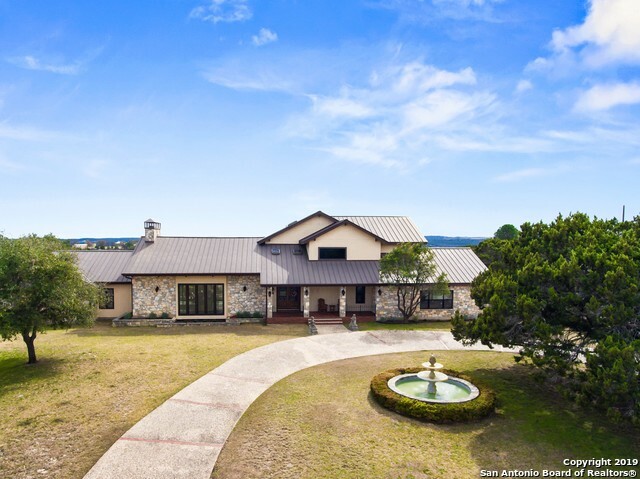 "$10,000 BONUS TO SELLING AGENT 'BEAUTIFUL TX HILL COUNTRY 3.85 AC ESTATE' Stunning 3B/3.5B Main house, 2B/1B Guest house, Enclosed, Heated Pool, Workshop w/3 Car Carport, Exquisite craftsmanship in Main includes: Milled Pecky Cypress walls, Wood Ceilings, Pine Plank floors, 2 Rock Fireplaces w/Custom Wrought Iron Screens & Tools, Antler Chandelier, Walls of Windows, 2000+ ft covered Wrap-Around Porches, Chef's Dream Kitchen, w/Jenn-Air Stainless appliances, Gas Cooktop, Cypress bar, Pantry, Eleg"
"Perfect family home for indoor & outdoor living year round! Relax by a toasty fire in front of the floor-to-cathedral ceiling height stone fireplace. Enjoy stunning valley views or watch the rain fall through two sets of glass doors leading to covered back porch from the wood-clad living room w/ wet bar. Airy formal dining & bright island kitchen w/granite, gas cooking & tons of cabinets & bright breakfast nook. All suite bedrooms. 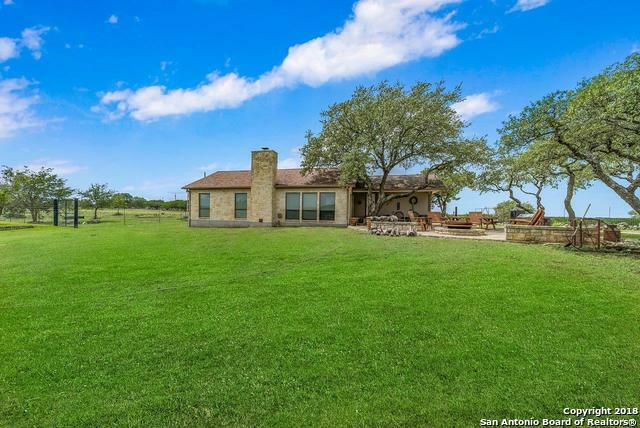 Private Master w/FP in adjacent study; spa & sauna, pool & so mu"
"See the milky way on this 15 acre horse property in Guadalupe Ranch Estates. 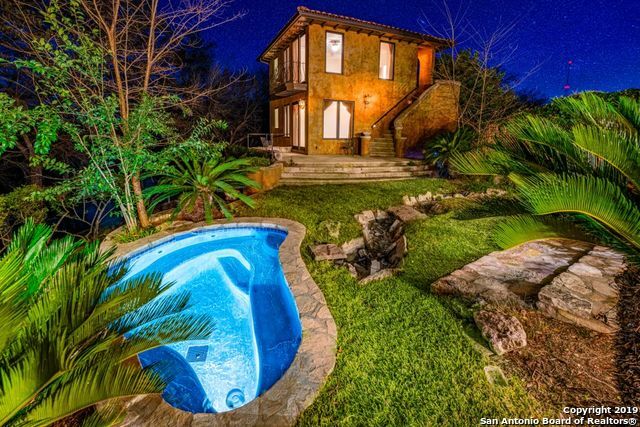 Wonderful hill country home with Mexicana touches of Talavera and Saltillo tile. Open floor plan of kitchen, dining and living for a great entertaining home. Vaulted ceilings, recessed lighting and a gas fired wood burning fireplace. Kitchen with large eating bar and Chambers gas range plus huge pantry. Covered front porch and side patio and hot tub. Detached workshop with A/C. Detached 3-car garage with guest quarters." 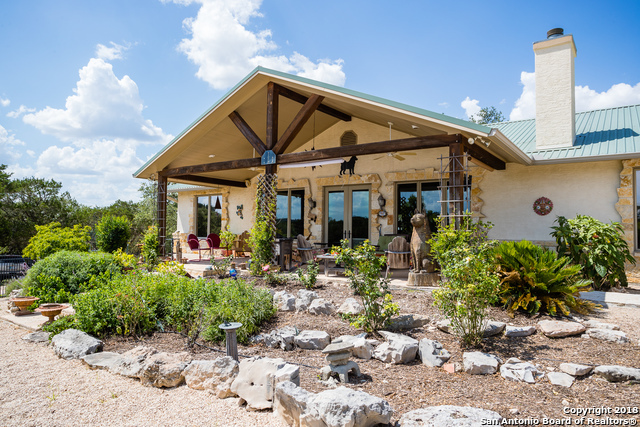 "Hill Country Classics Castroville Plan home on 7.86+/- acres. Exceptional views from the porches & gazebo with hot tub! This three bedroom, two bath beauty would be a perfect full time home or a vacation getaway. Open living, dining & kitchen with fireplace & beautiful wood floors. Efficient energy construction with 2x6 walls, extra insulation in attic & double pane windows. The aerobic system is uniquely designed with a tank to tank cascade feature. 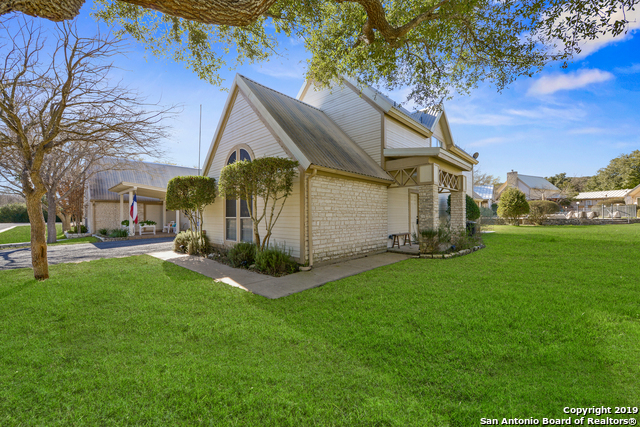 Pump house, Studio/Storage and Workshop inclu"
"Hill Country charmer w/ metal roof & Texas limestone exterior. Open concept design-perfect for living & entertaining. Great Room w/cathedral ceiling, wood beams, stone wood-burning fireplace. Sliding glass doors lead to exterior w/ covered porch & open air patio. Spacious dining area w/antler chandelier. Fully equipped kitchen w/ recessed lighting, eating bar, pantry, & tile floors. Private master suite. Loft guest room w/ full bath. Gated community w/ river access & community pool."